A Master Magician Reveals a Lifetime of Secrets for the Very First Time on Video! PREDICTION COMBINATION - The performer writes a prediction and isolates it in a drinking glass. A spectator selects a card, remembers it and mixes it back into the pack. A second spectator is asked to think of a small number. The performer reads the first spectator's mind and reveals the name of the selected card. Then, the chosen number is counted down to in the deck to find the actual selection. Finally, the written prediction is revealed to show that the performer had accurately predicted the card from the outset. 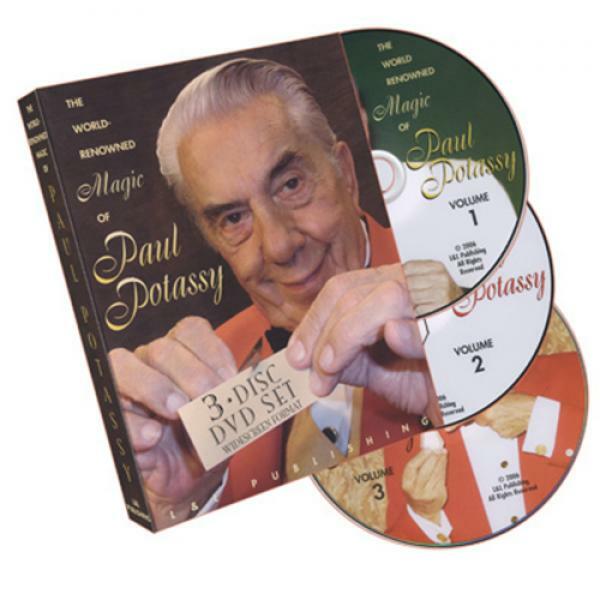 "3-DVD BOXED SET beautifully encased in one fold-out keepsake package Paul Potassy is one of my heroes. When you watch these marvelous DVDs, you'll understand why!" 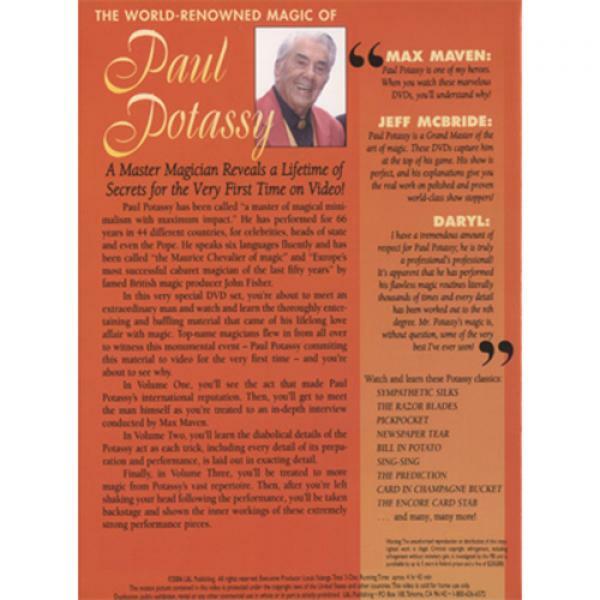 "Paul Potassy is a Grand Master of the art of magic. These DVDs capture him at the top of his game. His show is perfect, and his explanations give you the real work on polished and proven world-class show stoppers!"